How to establish a connection between front end and back end in just 10 Steps. In my case, front end is Java GUI(using NetBeans IDE) and back end is MySql. 2 Create a table and insert some rows. 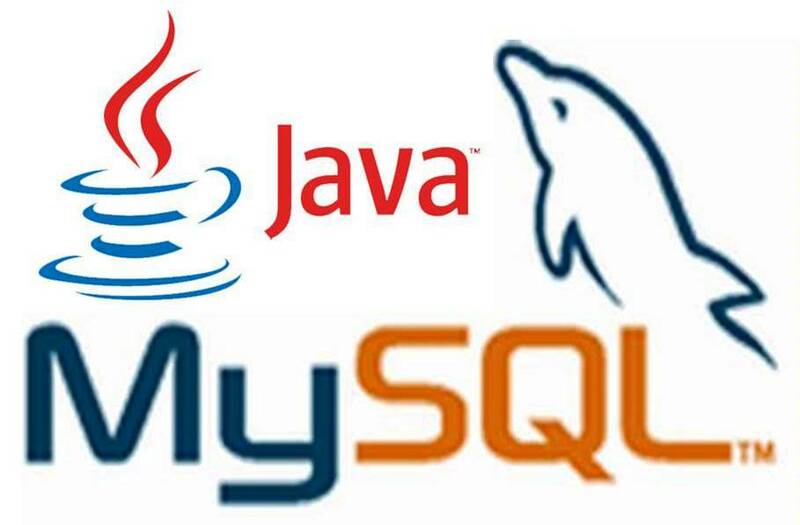 4 Add ‘MySql JDBC Driver’ Library in your project(Right click on project icon » Properties » Libraries » Add Library » MySql JDBC Driver). 5 Create a new JFrameForm under the project. 6 Insert a JTable swing component. 7 Edit it’s content according to your requirement(Right click » choose Table Contents). 8 Under your package and before class starts write the following codes in the source tab. 9 Insert a button to view the data when we click.Write the coding on the button’s actionPerformed event. 10 Change the codes in blue according to your database. 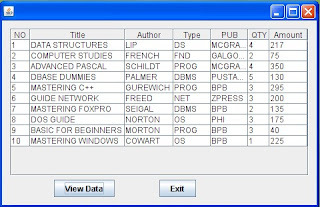 Run the file and you are done to view the contents in your database in GUI environment. Please comment if you are facing any problem. If this post helped you just give your few seconds in sharing this so that others could be helped too. @Khanny the library and the connection URL for DriverManager will change..
@Anonymous try reconfiguring your mysql settings. How to connect to Access Database Table using this code. thanks it is very helpful .plz also post report generation in mysql with java as front end. Can you please tell the code when the back end is access or excel. 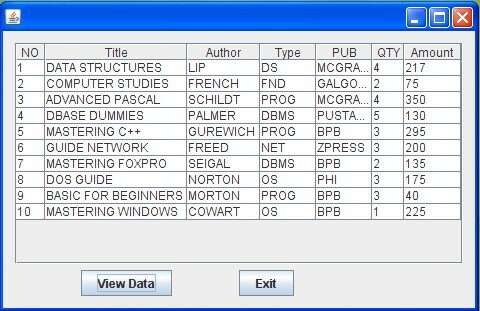 or how to convert database in excel to My sql?? How to clear the data which has been viewed and display or view contents of another table..?? I have my connect jframe working and connecting. What I can do to maintain the connection and open the new window automatic to start the search? Both jframe are working property with the ResultSet in the second frame. Thank you. @author: I want to populate my JTables from my dataBase…. Can you give some idea? Thankyou..
Also, when i add/update/delete data i want to refresh those jTables.. and Jlists(in case of deletion) at the same form..
can dis code be also applied for ecllipse?? Hello Sir it is very helpful for me bt i want to view my data in textfield.. The code works great, but when I selected view data, it gave me there error that my Table did not exist. I have created a table in the MySql database and everything was connected. I have also entered the table name and Db name correctly in the code. I even tried changing to upper and lower case. No Joy. Any help is appreciated. "Communication Link Failure: The Last Packet Sent Successfully to the Server was 0 milliseconds ago. The driver has not received any packets from the Server. " Kindly assist me through it and tell me how to correct my mistake plzzzz? Its saying build successful but im not able to view anything in my table even when I press the button!! Make sure you are connecting with right database and table which contains data. Also see the Output window in NetBeans to check if there is any error. how to display the data into another form? how to link a pdf file with my java software?? Good one, very good examples, you may please provide some other examples for better understanding of the GUI and mysql connecting environment.